“We thought that we had the answers, it was the questions we had wrong.” Powerful quote from Bono, would you agree? Not all questions are the same. Some are much more effective than others. This simple message has one of the greatest keys to your success as a consultant. 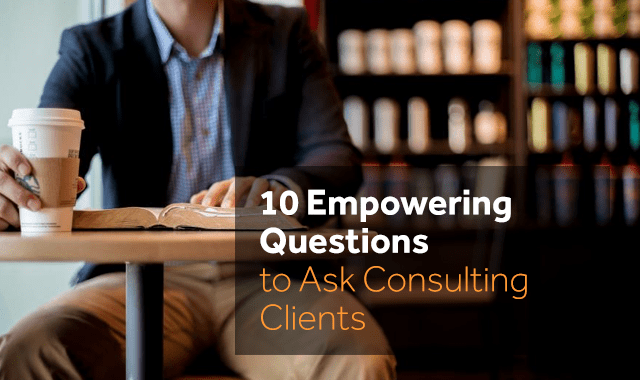 One of the best types of questions to ask buyers and clients are empowering questions. These are questions that are open-ended, thought-provoking and help a person gain clarity as they search for answers and new possibilities. It’s important to remember that empowering questions build off each other. When you ask a question and get an answer don’t stop there. Continue to explore it at a deeper level. “What do you think the main challenge is?” This question gets the person to share what they see holding them back and opens the door for you to identify how you can best help them. “What is working well?” This helps to focus on what is working well and compare it to what isn’t. Resources can then be shifted accordingly and a deeper discussion can ensue. “What would that cost you?” Being able to show a person the cost of staying where they are or the potential cost of making a mistake is a great way to help them move forward. This also helps them to justify making an investment in working with you. “What is the worst thing that can happen?” This question gets the person to acknowledge the danger or pain they are in. It can also work to have them see that the issue or decision they are facing isn’t as bad or scary as it may first seem. “What is the best thing that can happen?” The person will form an image in their mind of the benefits, results and value they will have when moving forward. “How will you feel if/when that happens?” Also a great question to have the person see and feel the benefits and value you will help them to access. “Why is that important to you?” When a buyer answers this question they are telling you (and themselves at the same time) why it’s important that they do ‘this’. This creates an opportunity for them to justify their thinking and decision. If it’s not a priority for them or they don’t feel it’s that important it’s unlikely they will want to move forward. “What is the value of this to you (your company)?” Will this help the company make an extra $5M, will they save tens-of-thousands of dollars each month, will they get a promotion, will they reduce their stress level? 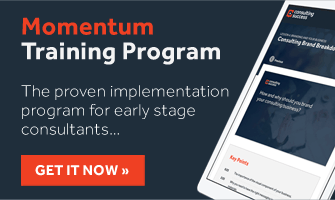 When you and the buyer understand what’s at stake and the value that will be created you are able to position your offering and structure your proposal so that it aligns with the value you are delivering. “How does that sound to you?” A great question to ask after offering an idea, recommendation or offer. This helps you to get buy-in and acceptance from the buyer. It also allows you to address any concerns or questions the buyer may have if they respond in the negative. “If there was a way to get you the benefits of what you’re looking for, how interested would you be?” This question also creates an opportunity for the buyer to provide their acceptance. It also provides a natural transition for you to introduce your offer/solution. What other empowering questions have you used and would recommend? Share in the comments below.